First, as you read this, I am either on a plane heading home from New York City, or at an airport trying to get home from New York. (I hate leaving the city -- anyone there want to hire me?) And second, this is the last of my Chocri stash. I loved both of the previous bars I created to an insane degree (read those reviews here and here), and while I take credit for the combinations that I put together, it is really all about the truly great chocolate and ingredients Chocri makes the bar with. As with my other Chocri reviews, I will be rating the bar based on said ingredients rather than the overall flavor of them bar. After all, the ingredients could be great, but since I chose the combination, I couldn't fault Chocri if the mixture I picked doesn't work very well. 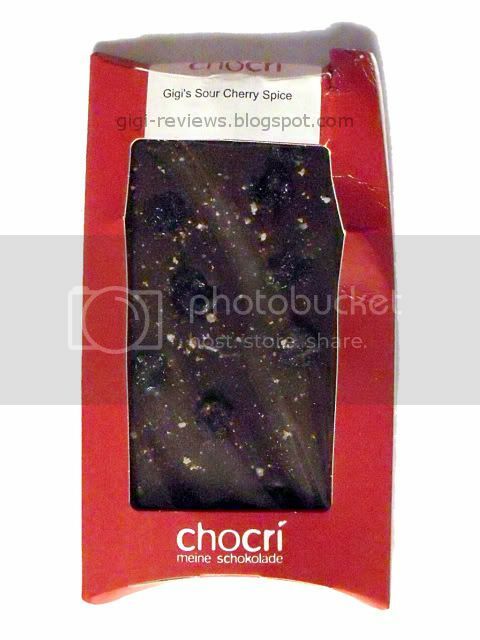 Sour Cherry Spice was inspired by my love of all things sour. 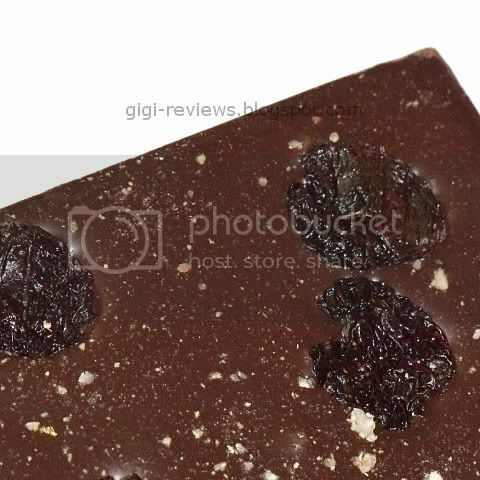 It contains sour cherries and orange pepper, and is made with dark chocolate. The sour cherries are great! Large, plump and tart. They're just a little salty and that is always a good thing. The orange pepper is pretty mild. While I could taste both the citrus and the pepper, neither was assertive enough to stand up and say "Hey, I am just as lovable as the Persian Bar!" Props again to Crocri for the dark chocolate. It's 64%, and has a great snap and a smooth melt. There's a very coffeelike finish. It's good enough that I would be happy to eat it naked...wait, that came out wrong. I meant plain. Overall I loved the chocolate, loved the cherries. The orange pepper wasn't bad, but it didn't blow me away the way some of the other ingredients have. I love the whole concept of Chocri, and being able to make a bar with exactly what I want in it is a lot of fun for me. I have literally thought up dozens of bars since I came up with the three I have reviewed. Maybe if I am lucky, I will get some for Valentines day! 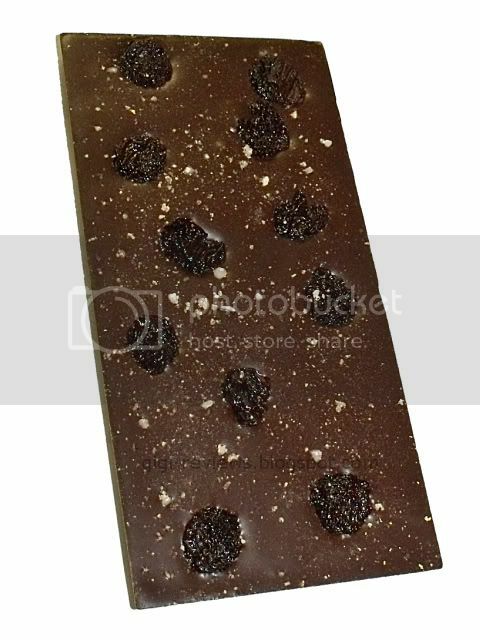 Make your own by visiting Createmychocolate.com. 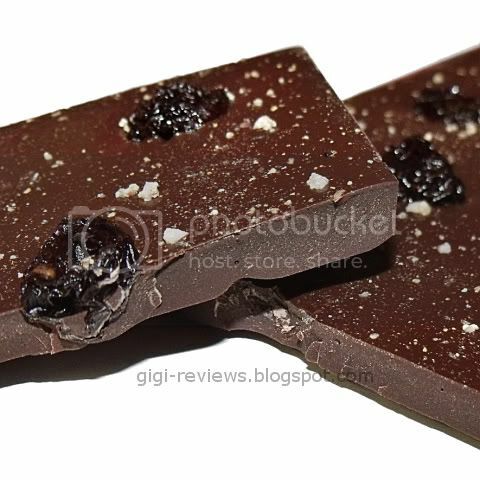 We have a local chocolate maker that produces something like this, sour cherries in dark chocolate (or better said 'used to', because they've recently taken them out... they can still be found, though) and I really like them. I’m not impressed with Chocri. 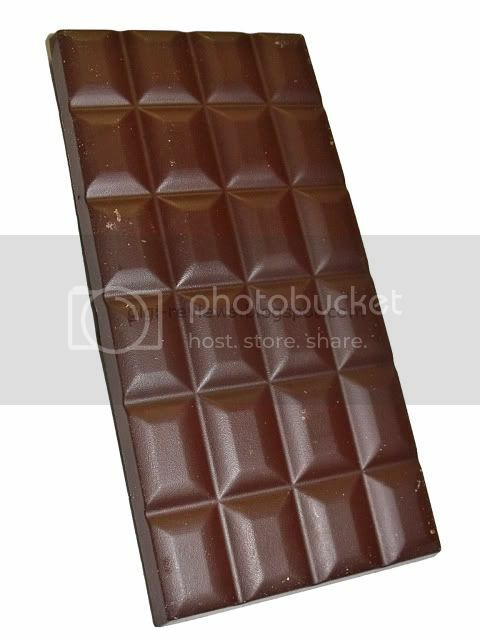 When I ordered a dark chocolate bar w/ bacon and toffee recently, and they sent me a bar with no bacon, I was a bit annoyed. Rather than call or email me to tell me that they were having some issue with their bacon supplier, they jut figured they would still send a product that I didn’t order. What's even worse, it was an Xmas present for my wife who was the one who discovered there was no bacon in the bar. First, I am not really surprised or particularly upset that Chocri sources their ingredients that go into the bars from third party vendors. That is pretty standard industry practice and if you think about it in terms of how many different ingredients they offer- and the volume they need to fill it would seem to me It would probably be impossible to make everything in house. As for getting a better, fresher bar. Perhaps if there is a local candy store to you that makes they're own bars on-site (I do know of one such place in NYC. Although I know for a fact they also use third party ingredients) There is also one small chain that does on-site custom bars (but again the ingredients are not made in house) and to be honest the chocolate was so bad it made Hershey's taste gourmet (there is no review because it was not my bar, I was tasting a friend's and I also never would have chosen her combo) There are options out there for sure- Vosges also makes fantastic bars in unique (although not custom) flavor combination's (but they also do not make everything in house) If anyone out there knows of such a place please share because that would be really interesting to try!